Senate House Chambers, a new Northampton based set established in 2014 with 17 established barristers has chosen hosted chambers management solution, MLC from Advanced Legal (Advanced). The Chambers went live with the solution in August 2014. MLC is the leading chambers management software solution, providing diary, fees, case management, billing and automatic time recording in order to increase efficiency and maximise revenue. 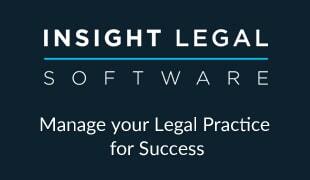 Having successfully used Advanced Legal’s previous chambers management solution Meridian Law at their previous chambers, working with Advanced was the obvious choice. The Chambers will use the solution to effectively manage their chambers and ensure best practice, monitor business performance and ensure growth whilst providing high levels of customer service. Senate House opted for a completely hosted solution as they felt this was the best way to ensure a seamless implementation and fast set up allowing the chambers to be fully up and running a quickly as possible. Michelle Christie, joint head of chambers, Senate House Chambers comments: “We chose MLC as it has proven to be of immense benefit to us whilst we are establishing ourselves as a forward thinking chambers. “Our unique circumstances meant that we went from an idea to going live within a three week window. The hosted solution meant that we could be set up quickly and efficiently without needing to worry about a complex IT infrastructure.